First of all, my husband is teaching the boys on Sunday this same topic. 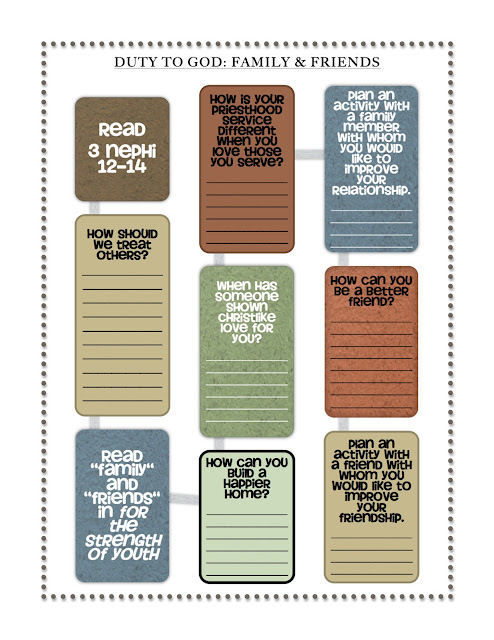 So for any YM teachers out there, I made this worksheet to go along with the Duty To God project assigned to this lesson. You can download it here. For their weekly challenge, I want to encourage the girls to do some sort of act of service everyday this week to help their family. They can do a chore without asking, spend quality time with a family member, help mom with dinner, or whatever creative ideas they can think of. I'll send them a reminder text or Facebook message everyday to make sure they don't forget.